Ella is here to give you all an insight into a little autumnal sparkle! In my opinion, you’re never too old for sparkly nails. Now that we’re heading into the colder months, I feel like it’s acceptable to start integrating the glitter again. However, keeping it understated is key, otherwise you’ll be sick of the shimmer by the time Christmas rolls around! 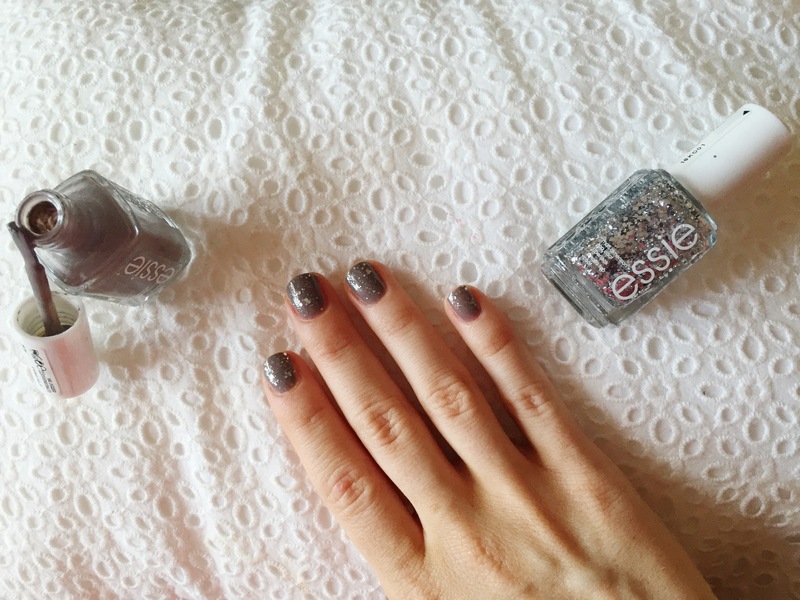 So I’m biding my time by doing a subtle take on glittery nails, using two of my favourite nail polishes from Essie. After applying a base coat, my first step is to apply a neutral, ‘greige’ colour. Red would have been too festive and I love how sophisticated a grey-toned nail looks at this time of year. 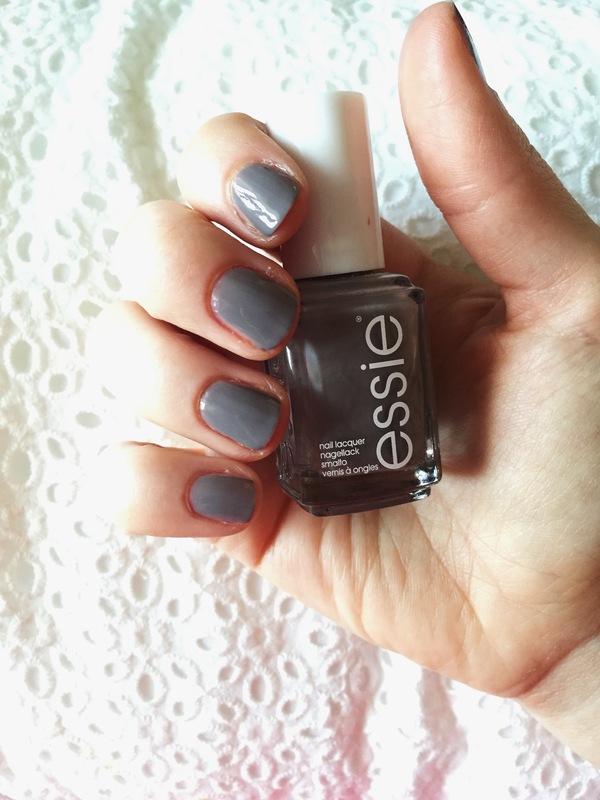 I used Essie’s ‘School of Hard Rocks’ – £8.76 – 15 ml, but you can choose any similar colour from the range. I applied two coats of this for a glossy finish. Next stop, glitter! I applied a layer of Essie’s LuxeEffects ‘Set in Stones’ – £8.76 – 15 ml, which I have used a lot. It’s a clear polish with silver glitter flecks to create a subtle glitz on your nails. You can apply this on top of any nail polish colour to transform it into something a little more exciting. Lastly apply a top coat and voilà. 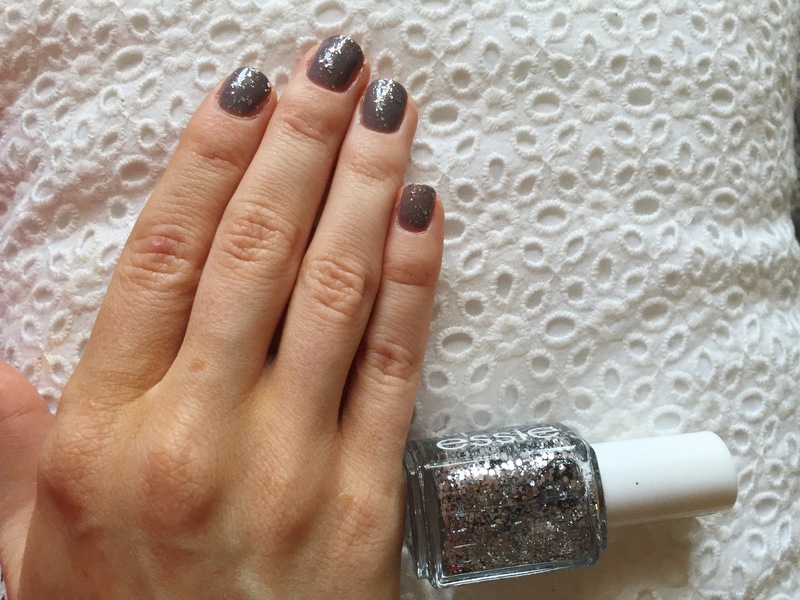 Will you be trying out this grey glitter nail look? Tweet your photos to @Salonskincare!